This laser flag label will solve your small product labelling needs and allow you to implement barcodes and colour-coding for error prevention! Flag and receipt portion are available in solid colours or with the top half coloured, and the bottom half white for printing readable barcodes while the tail remains clear so that labelling and graduations are still readable. Flag receipt can either fold over to create an easy-to-read, double-sided label or the receipt can be removed at the perforation and applied to charts, records and packaging for traceability and accountability. Receipt serves as a secondary label for duplicate data or additional print space for drug information, lot, expiration, barcode, administration and caution. Clear tail material will not impede labelling or graduations at the point of attachment. Flexible and durable material resists tears and withstands handling and storage. Aggressive label adhesive ensures that the label will remain on product until time of use. 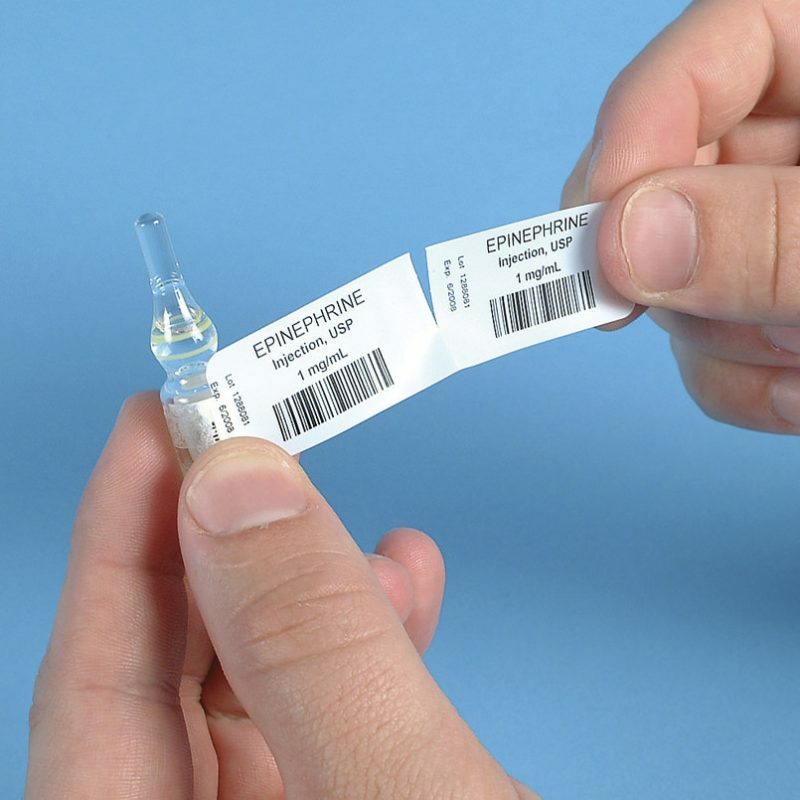 Can also be used as IV tubing labels. Print, wrap around tubing and prevent errors. We’ve created and included a predefined Flag & Receipt Label template with our #5117 and 17545 Barcode Labeling Software. No label creation or setup is needed, all you do is open the template, type information on the label and print! Available in White (#6028 and 6034) and Green, Red and Yellow solid or top half flag colours (#6029 and 6030).